Your little ones are important to us. The BHBC nursery team is a dedicated and professional group who are committed to this being a place that shows children how big and wonderful God is. 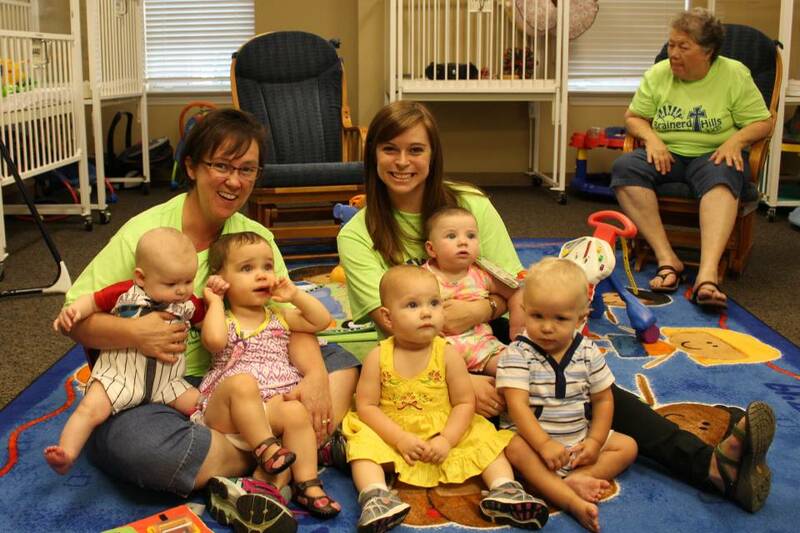 Our nursery is set up to meet the various needs of children in a friendly, loving, and safe environment. All our workers and volunteers are specially trained and screened, and practice up-to-date security measures. At Brainerd Hills, you can have the peace of mind that God treasures your kids, and so do we. If you or your children have any special needs, questions, or instructions for our nursery team, we are happy to make that a part of our care for your family. We do this by providing "Daily Sheets" for children younger than 2 and a easy to learn Check In system with name tags and security codes. If we can answer any questions or be of help to your family in any other way, we'd love to hear from you. Schedule a tour, set up a meeting with our Children's Minister, or just reach out to introduce yourself.